Fear seems to reign, at least it’s pretty strong right now in the United States. It seems to me that the flip side of fear is often anger and violence. That violence can ravage beautiful places in this earth. Then the land suffers for the sins of humanity. Yet, there is great and mysterious beauty. And, we say, sometimes with mustard seed-like faith: “God is good.” Yet, the nagging wonder question persists for me: How can the world contain such ugliness and such beauty in the same world? 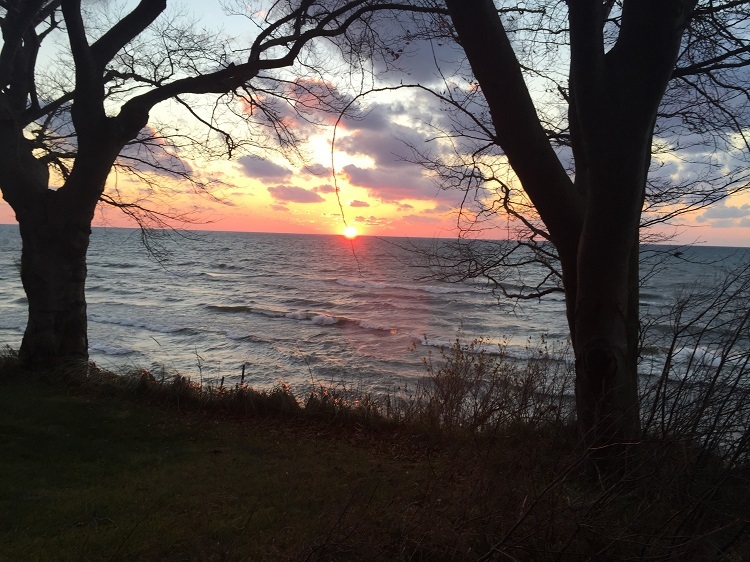 I share these pictures of the sovenir bomb casings in Laos—reminders of the American bombing of the Ho Chi Minh Trail in Laos; and Lake Michigan at sunset in November. These seem to touch our fear-torn reality, longing for peace, and to be surprised by hope.